The Inner Harbor of Baltimore has long been a draw for both tourists and local citizens. With shops, restaurants, ferries and more this locale has long been a major attraction. In an effort to support this vibrant area, the City of Baltimore launched a project to bring free public WiFi to the Inner Harbor. 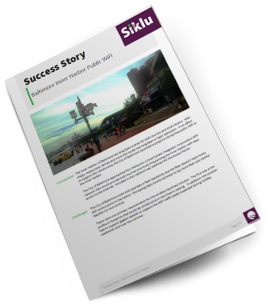 The City of Baltimore approached Port Networks, a local System Integrator, to provide a WiFi network that would provide both tourists and locals frequenting the Inner Harbor with easy access to the Internet. Included in this network was backhaul for the Access Points.